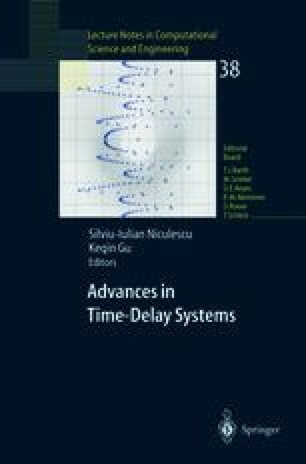 Our scope in this note is to give a unified view on different approaches for studying stabilit y of delay systems and parameter-dependent systems, and on estimation methods for some structured singular values. The classical approaches arc exposed in Scnions 1 to 3. A new result which links them together is given in Section 4, Elements of proof are gathered in Section 5. Comments are provided in Section 6. Finally, Section 7 proposes some open problems. For sake of space, exposure is kept to minimum, the reader is refered to the cited literature for more details.